The most memorable commercials are probably the ones that made you laugh. And a new survey from Clutch says 53 percent of consumers are just as likely to remember an ad if it is funny. The Clutch report looks at what kind of ads consumers prefer across TV, online, social media and print. 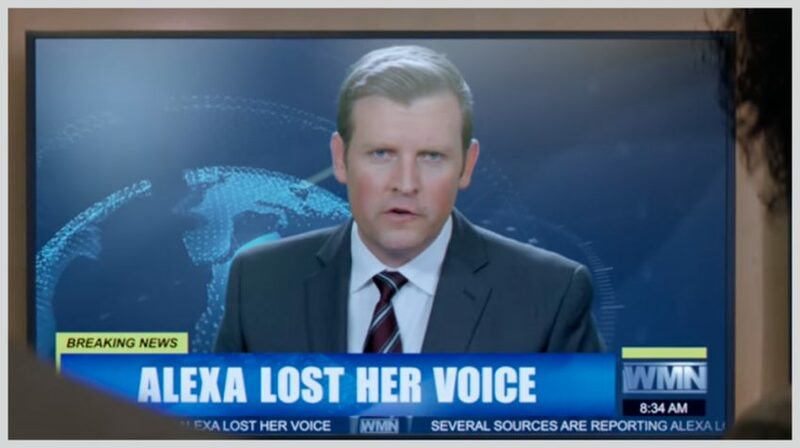 And the ads with the best response stimulate our desire to eat and laugh in a medium located in virtually all households, TV. Although TV is still a popular medium for ads, mobile and online advertising are quickly gaining ground — and are much less expensive. For small businesses, this means it is much easier to afford marketing campaigns digitally including on mobile, web and social media. The key is creating ads that appeal to your audience. The survey was carried out by Clutch with the participation of 1,030 participants across the US. They were asked what makes an ad memorable, as well as the subject matter, and the delivery platform. When it comes to delivery platforms, 58 percent said they favor TV advertising, and online, social media and print had the preference of 13, 11 and 11 percent of the respondents respectively. In digital advertising, Facebook was preferred by 36 percent of respondents followed by banners with 21 percent, video interactive with 19 percent and Google searches with 9 percent. As to the subject matter, respondents said they liked watching on these platforms, food, drink and restaurant ads were the clear winners with around 80 percent. This was followed by fashion, health and beauty with 49 percent, travel and leisure with 48 percent, sports and entertainment with 37 percent and technology with 36 percent. 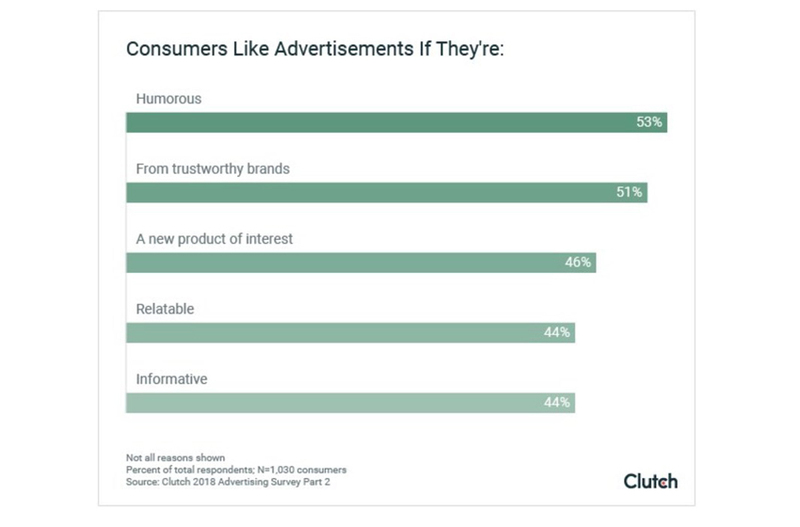 Regarding the content, humor was key to making the ads memorable and if it is a brand customers trust and are familiar with, 51 percent of respondents said they prefer those advertisements. Meanwhile, 46 percent of respondents said ads interest them if they show a new product of interest, while 44 percent of respondents said being relatable and informative was important in ads.